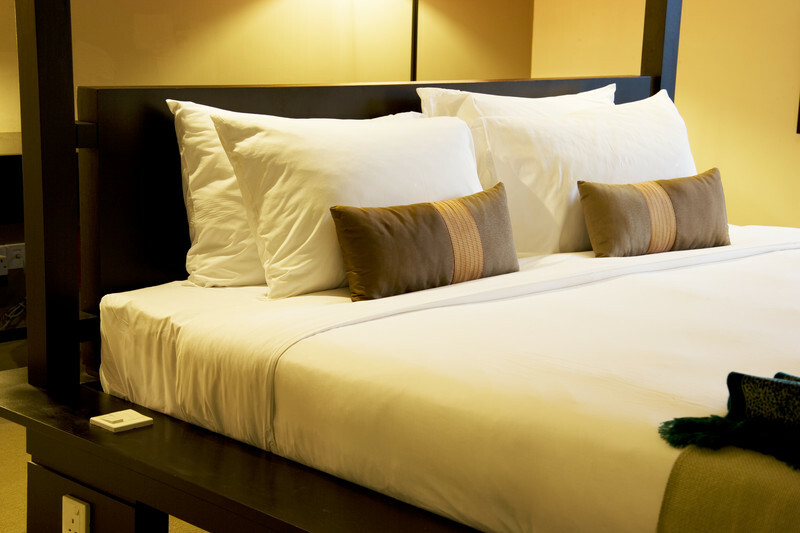 Can You Really Prevent Getting Bed Bugs? Each year bed bugs affect millions of people in the United States alone. And these critters do not discriminate. They can be found in luxury homes, low-income apartments, hotels, movie theatres, schools, shelters, department stores and nearly anywhere people frequent. Bed bugs feed on warm-blooded mammals, mainly humans. However, pets are at risk too. They are very efficient at finding their next blood meal. Bed bug eggs and instars (the adolescent stage of bed bugs) are extremely small but visible to the naked eye. They are very difficult to detect until a population is large. Once an infestation is established one treatment by a pest professional is rarely sufficient to offer long-term control. In fact, a great deal of physical work and preparation is required by both the homeowner as well as the pest management professional. Bed bugs live in very small cracks and crevices in and around sleeping areas. Popular hiding places include box springs, mattresses, screws in the bed frame, nightstands, picture frames, between carpet tack strips on the floor, electronics such as TV’s, cell phones and computers. Special care must be given to treat each of these areas, many of which require specific handling like sleeping surfaces and electronics. All of these requirements lead to high initial treatment costs and major disruption in the lifestyle of those afflicted by bed bugs. And we have not even touched upon the psychological damages that bed bugs are known to do. Even after a home is treated for bed bugs, without an effective preventive strategy in place, bed bugs can be re-introduced into the home causing a repeat infestation and begin this nightmarish vicious cycle all over again. 1. Do you currently have bed bugs or have you had a previous infestation? 2. Do you travel often for work or leisure spending nights in a hotel frequently? 3. Do you have children in college or live in a dormitory setting away from home and come to visit on holidays, between semesters, or when they need to launder clothes and bed linens? 4. Do you go to the movies often? 5. Do you frequently use public transportation, including buses, trains, and/or planes? 6. Do you do any volunteer work at a rescue mission, shelters, or public housing? 7. Do you work in a hospital, nursing home or as a home health aide? 8. Do you work with children in a school, daycare, camp or other setting? 9. Do you entertain or visit friends or family members who fit the above criteria? If you answered yes to any of the above questions, then you may wish to consider yourself at high risk for incurring a bed bug incident, and are a great candidate for a preventive strategy in your home. Prevention can be as easy as installing an active liner that goes on just like a fitted sheet on the mattresses and/or box springs in your home. Any bed bugs that are introduced into the home will naturally be attracted to the sleeping area where their host sleeps and hide in or around this area. After only 10 minutes of contact with the liner, bed bugs start to lose their ability to bite and lay eggs. If bed bugs can’t lay eggs, their population cycle is halted preventing incidents progressing into an infestation! Moving forward and typically within 72 hours of contact, bed bugs die. Active liners offer protection for two years and need to be replaced after that time. Taking a small step to avoid an infestation can save a home or business owner endless hours of physical and emotional disruption in their lives, as well as thousands of dollars in treatment costs. This small preventive measure coupled with a little education on the signs of bed bugs can help to stop bed bugs in their tracks and prevent an infestation. If you consider yourself at risk for bed bugs based on the questions asked above click here to learn more about how you can begin a preventive bed bug program in your home.